Today I have prepared for you another giveaway. 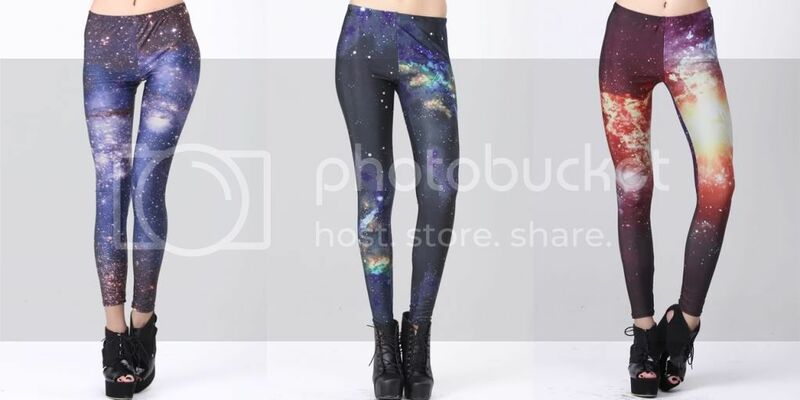 This time you can win a pair of galaxy leggings from Romwe. You can pick from 3 versions which you can see above. The end of the giveaway is on Sunday, 3rd February. There will be one winner announced on my facebook page (here). na obrázku a které si Vy samy vyberete. Zúčastnit se můžete až do neděle, 3.února. Vítěz bude vybrán náhodně a vyhlášen na mých facebookových stránkách (tady). I like the first version! I like the third pair of leggings! tretie velmi pekne prosim !! amazing, I'd choose the 2nd one, please! Líbí se mi všechny, nejvíce asi 1 a pak 2.